England could not have asked for more than to secure their Champions Trophy semi-final place with a game to spare and turn their final group match into an attempt simply to eliminate their old enemy. 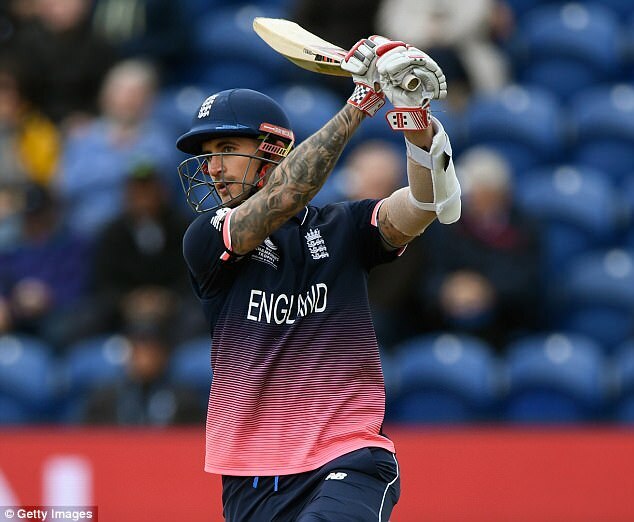 Victory against New Zealand in blustery Cardiff leaves England sitting pretty in the last four and heading to Edgbaston on Saturday knowing they are already guaranteed top group spot and can send Australia home. It is the perfect situation for England who produced a highly polished performance in the field to ultimately turn what looked like becoming the first close encounter in this Champions Trophy into a canter. 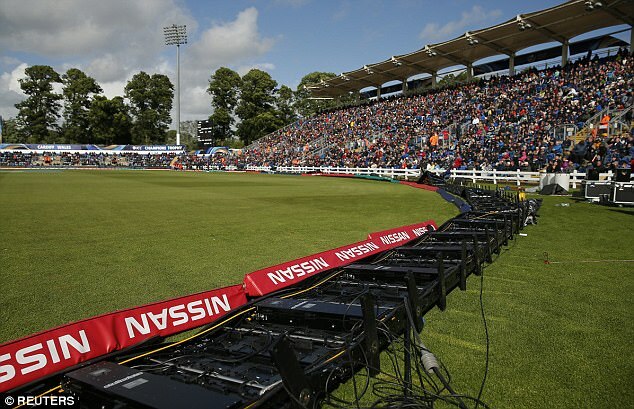 New Zealand were left muttering about the Cardiff pitch after both Kane Williamson and Ross Taylor were struck on the head and their captain had been dismissed by a ball from Mark Wood that spat off a length. 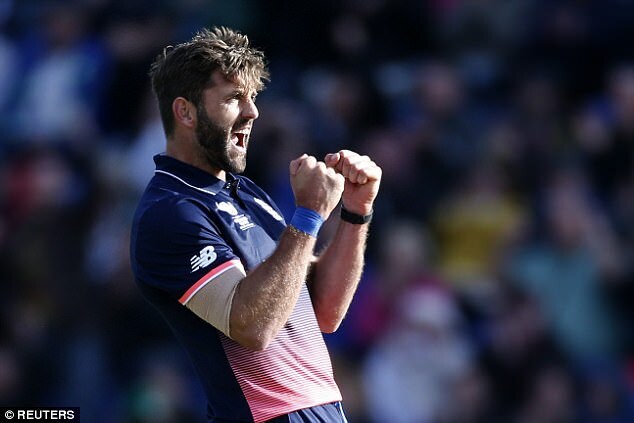 But they have no cause for complaint as England simply bowled with more skill, Liam Plunkett taking four wickets, having found a spot just short of a length from the River Taff End where cross seam balls at pace elicited uneven bounce. 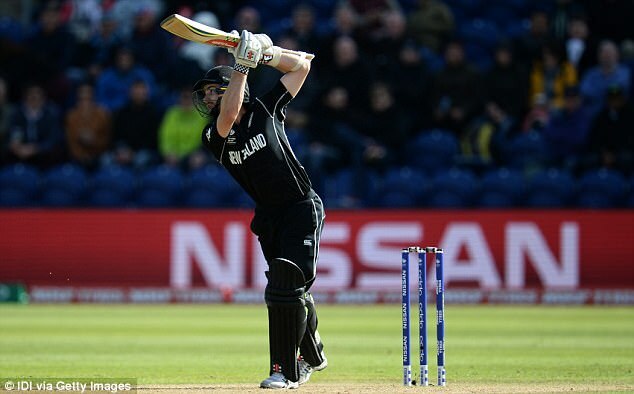 This pivotal match was very much in the balance when Williamson had caressed his way to 87 in New Zealand’s 158 for two after 30 overs in pursuit of a distinctly gettable 311 to put themselves in pole position for a last four place. 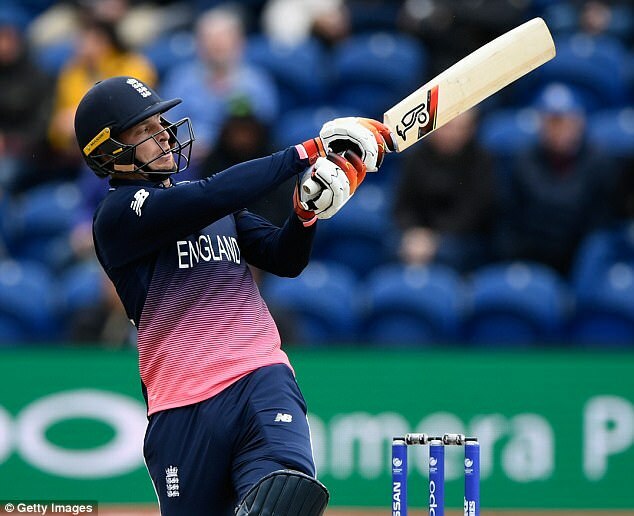 But once Williamson had gloved a brute through to Jos Buttler and departed angrily accusing the pitch and putting doubt into his batsmen’s minds in the process, England were well on their way. Plunkett, who is determined to step up to become one-day attack leader in the absence of Chris Woakes, was to take the last three New Zealand wickets in five balls to send a disappointing crowd who had braved the cold home happy. England seemed to have fallen 10 or 20 short of par even though they reached their 23rd score of 300 plus since the World Cup and that watershed defeat in their last 50-over global tournament meeting with New Zealand. The problem for England was that nobody was able to play that match-defining hundred and they lost crucial wickets at the worst possible times. 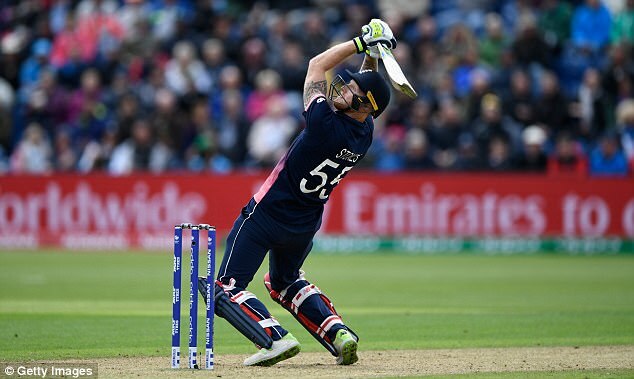 None more so than that of Ben Stokes when he had the perfect platform to put England out of New Zealand’s reach along with Buttler. 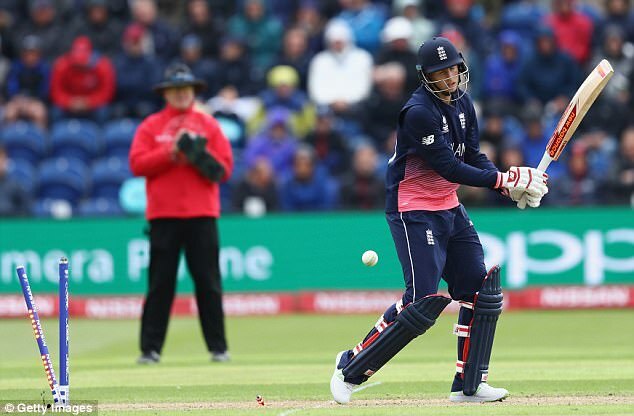 England were well placed on 210 for four in the 38th over with their two most destructive players together when Stokes attempted to upper cut Trent Boult over the short River Taff End boundary and only succeeded in finding Adam Milne at third man. It looked to be a pivotal moment. They should still have got closer to 350 than 300 while Buttler was there and even though he produced one of his trademark cameos, striking 61 off 48 balls, he ran out of partners and could not get enough of the strike. 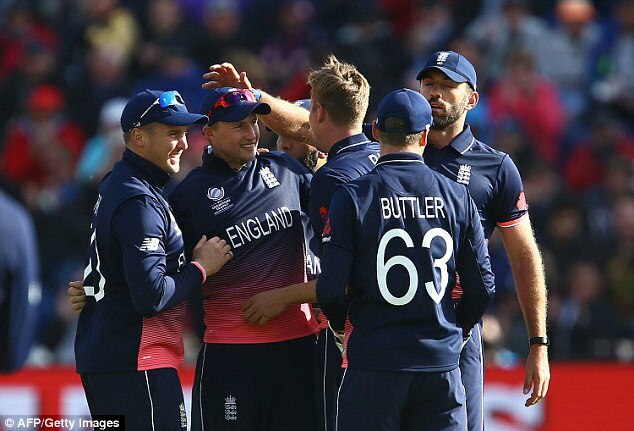 Buttler ended unbeaten but frustrated when both Wood and Jake Ball fell in successive balls in Tim Southee’s final over, with Buttler stranded at the non-striker’s end and England wasting three precious deliveries. No matter. England were in trouble when Williamson and Taylor were together but they were rescued by a quite outstanding bowling display. England kept faith with Ball even though he was expensive against Bangladesh and he rewarded them by dismissing Luke Ronchi first ball and returning to claim Taylor as New Zealand began to crumble. Wood and Plunkett, meanwhile, were simply superb and if they can stay fit and firing then England can look forward to their semi-final, which will be back here in Wales next Wednesday, with confidence. 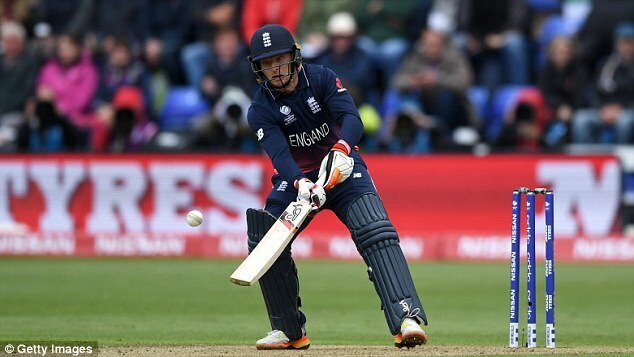 It was not all plain sailing for England and they now face a dilemma over Jason Roy, whose latest failure leaves him with just 47 runs in his last seven one-day international innings and desperately short of the confidence he needs. Morgan left himself with little wriggle room when, ahead of England’s first match against Bangladesh, he attempted to encourage Roy to relax by publicly assuring him he will play throughout this tournament. He will surely have to re-assess that now with not only Jonny Bairstow but also Sam Billings in England’s squad and capable of opening the batting in what will be anything but a dead rubber against Australia. They also appeared to have got themselves into a bit of a selection pickle over Adil Rashid, who should have played in the win against Bangladesh at the Oval but who was a surprise late inclusion on Tuesday. 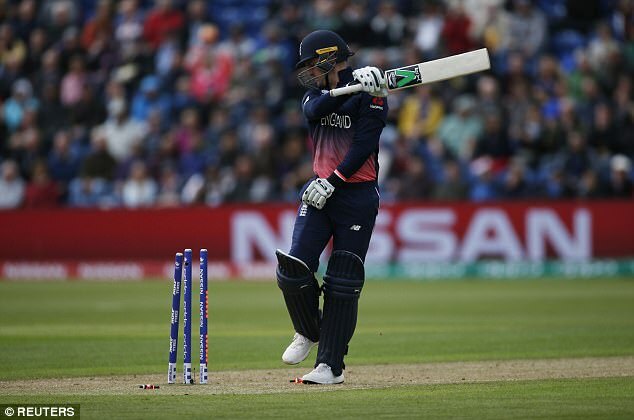 All recent Cardiff history, the short straight boundaries and conditions far more condusive to seam than spin pointed to England’s original intention to bring back David Willey in place of the stricken Woakes. 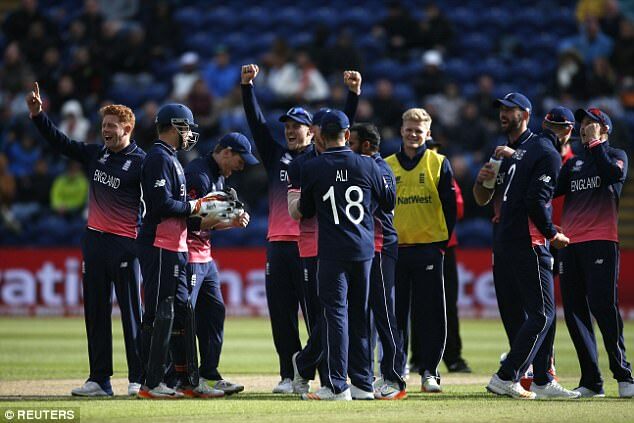 But England were vindicated even though they did not really need two spin bowlers when Rashid was excellent and claimed the wickets of Neil Broom and Mitchell Santner while Moeen Ali was not required to bowl. 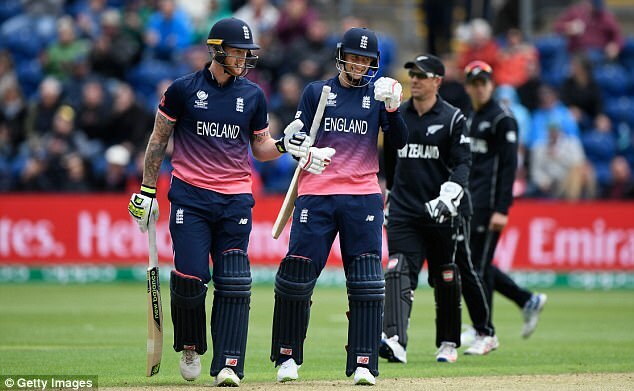 Rashid played a full part as New Zealand succumbed quickly, their last seven wickets falling for just 65 as England overcame the worst of the conditions with strong winds – but mercifully no rain – buffering their bowlers throughout. All New Zealand can do now is beat Bangladesh and hope England, who will definitely top the group even if they lose on Saturday courtesy of their two group wins, can do them a favour. 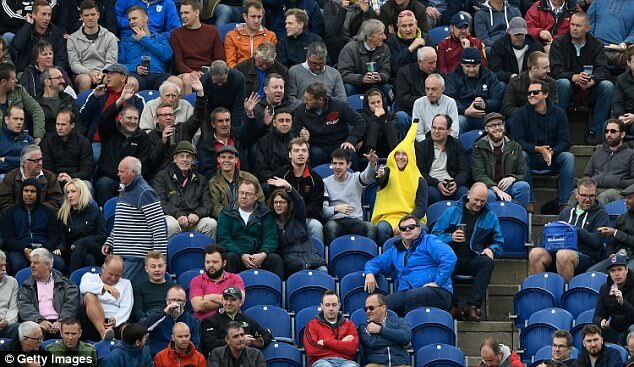 England will need little encouragement.